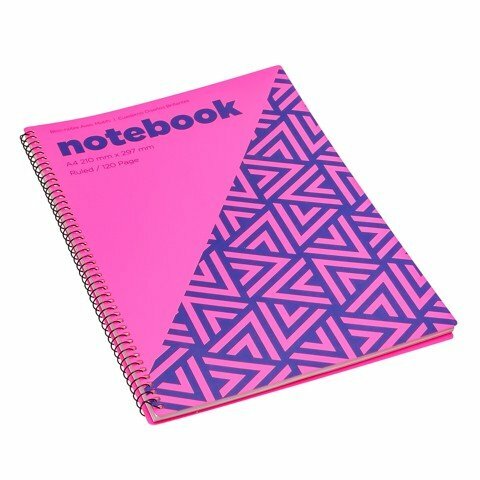 Notebook Bright Des A4 120Pg. 29 x 23 x 1.8cm. Pink | Green | Yellow. PP Cover. 363G Packaging: Opp Bag with Barcode Label.